Logistics, as well as the supply chain management, are important considerations when trying to generate a competitive advantage for a company. If a company is not considering ongoing assessment and enhancement of their logistics arrangements, they will be left behind by their competitors. When looking at the logistics arrangements, and the need for change, an organisation must consider what it is trying to achieve. There needs to be a careful analysis of what has to be changed and the process that will be followed to enable that change to occur. Many organisations have started going through a period of change and taken advantage of the change process to bring about greater efficiencies for their operation. For many companies, there are certain parts of logistics management that they will want to keep in-house. However, more broadly it is not an area where they have the expertise and to develop the required level of expertise would require substantial investment without a guaranteed return on the investment. This is when it is valuable to look at the different types of logistics service providers who may be able to help. Companies have needed to go through a process where they assess the services of external organisations that have specialised skills, knowledge, and expertise that they are able to contribute to their clients. 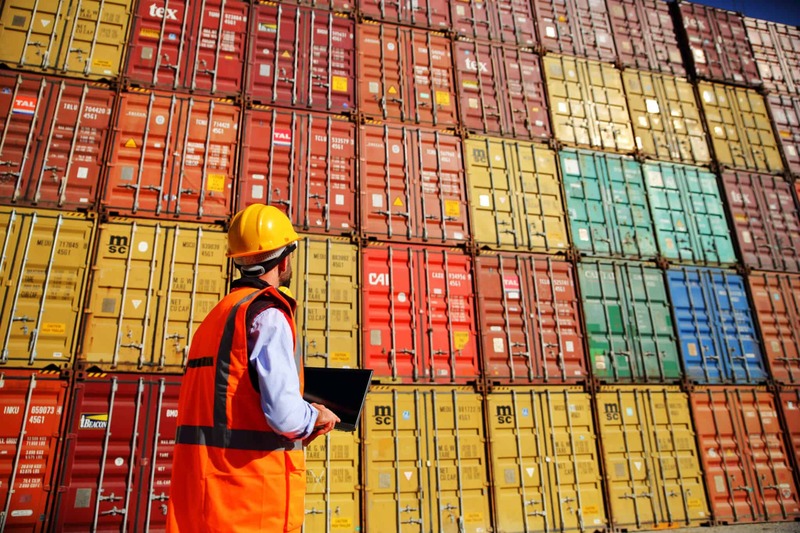 There is a range of offerings available from different types of logistics service providers with many able to support international trading and transport activity. Ensuring that these organisations have a suitable network of contacts, have current knowledge of the transport environment, and have up to date work and management practices will ensure that a suitable service provider can be identified. With the ongoing digitisation of trade and the international trading and transport industry, there has been a further shift in this activity to include tracking and administration activities to improve the efficiency of complex logistics management. One of the important considerations for many companies is inventory management. There is an ongoing requirement for the 'just in time' supply of products or materials with greater emphasis placed on reducing the stockpiling and storage of goods to reduce costs. Management techniques have constantly been targeted at making reductions in logistics management expenses associated with company activities. With the increase in data now available from trading and logistics activity, there is the opportunity to make analysis and reporting on this information much easier. This is able to flow through to improvements in supply chain management as well. Usually, freight forwarders will be acting as an intermediary by taking responsibility for organising the movement of goods as well as providing a range of support services along the chain of transport and logistics operations. They reduce the time and costs for their clients by finding solutions to the complexities of international shipments. They will assist in organising most requirements, which could include the selection of the mode of transport, the route, the payment arrangements, international shipping requirements, and any associated documentation. International freight forwarders are the most well-known and common type of logistics intermediary or facilitator. For more advanced forwarding operations, they could also provide a broader range of logistical services, utilising modern information systems and communications technology to track shipments and to resolve any problems. This will be in connection with the movement, handling or storage of the goods, and will support and provide opportunity to improve the supply chain management activity of their clients. These services are able to be specifically tailored to client needs. The main task of the international freight forwarder is to release its client of having to handle the complex arrangements and the associated problems of shipping, transportation, and delivery of goods in the international trade environment. Some professional freight forwarding companies have expanded their volume of services and activities and they now act in part as logistics operators or integrators. The management of complex logistics and the organisation of freight forwarding activities are becoming more complex, which has created the requirement for an expansion in, and enhancement of, these services. There have been some other fields of activity that add value to traditional freight forwarding leading to further development of different types of logistics service providers. This includes working with standardised shipments, but with an extension of existing freight forwarding operations that involve local transport, storage and handling services, and warehousing operations. Stockwells is a forward-thinking international freight forwarder, leveraging modern technology as well as our significant knowledge of, and experience in, the industry to create innovative, practical and affordable solutions for our clients. We have earned a reputation as a professional freight forwarding operation with a commitment to providing quality services. As a well-established and reputable operator, we are able to liaise with our network of carriers and experts to provide services and support that cover the full range of supply chain methods. We have been able to form strong and reliable international relationships that ensure our freight forwarding and transport solutions are trustworthy, reliable, and achieve results. We also identified the need for having a transport fleet, so that we are able to be confident of on-time activity with real-time tracking to make sure that the transport of your goods is being managed in the most efficient way possible. With the rapidly changing and highly competitive operational environment for international freight forwarders, there are many that have begun marketing alternative services to potential clients. Stockwells has already been developing these solutions for many years. We are able to offer services that are properly supported by technology and systems to achieve optimal outcomes. We develop individual solutions for our clients that have logistical support from our company as well as our extensive network of contacts. We have the expertise and experience to be able to handle a very wide range of deliverables, including those that have additional complexities such as dangerous goods. We are a versatile and advanced service provider with a very detailed understanding of the freight forwarding business. We have identified areas where we are able to provide more advanced services to benefit our clients. We understand the dynamics of freight forwarding and we ensure that our clients are kept fully informed about the progress of their shipments. If you would like to know more about the full range of assistance, contact our staff by calling 1300 786 468 who will be able to explain more about the professional processes that we follow to ensure you receive the best possible level of service.